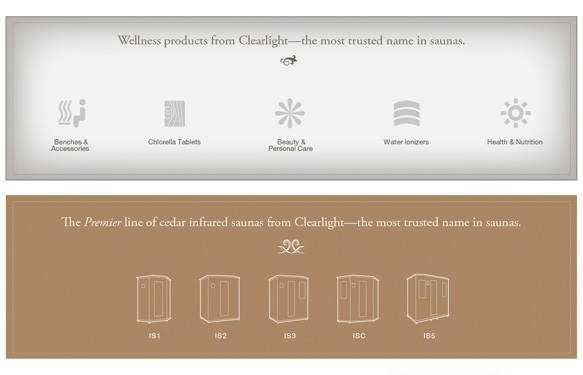 Myers art directed the visual redesign of this sauna brand across print and web media. 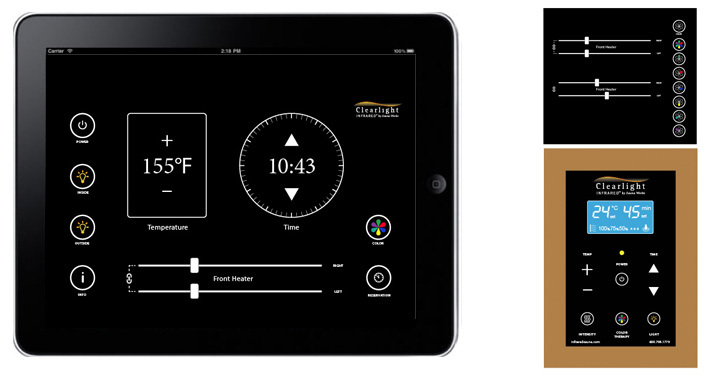 Created web site visual designs, page layouts, tablet interface designs, printed control panel designs and online banner ads. 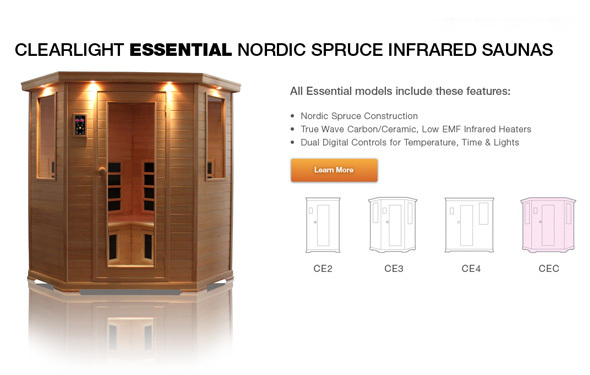 Illustration included logo designs, icon and product drawings. 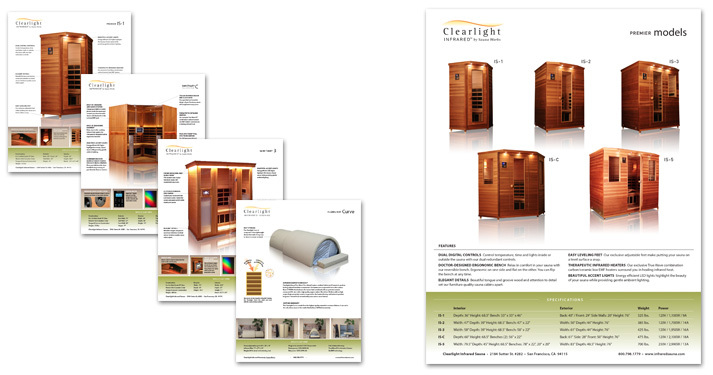 Designed library of print brochures and trade show graphics. Reported to the company owner. 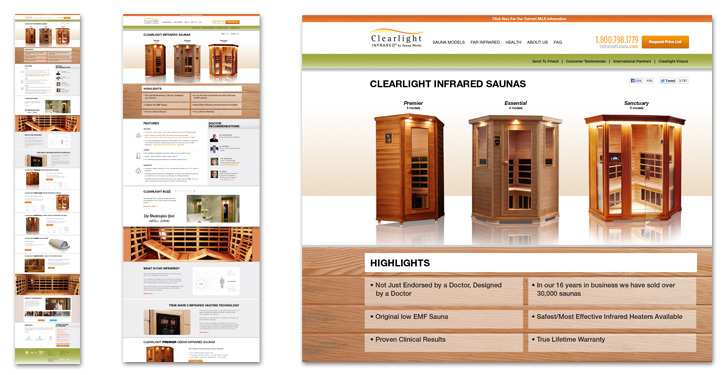 Client: Sauna Works Responsibilities: Responsive web design, tablet interface design, printed brochures.